A San Diego lobbyist admitted in federal court Wednesday to conspiring to make illegal campaign contributions in connection with a congressional election. Marco Polo Cortes, 47, pleaded guilty to arranging a meeting between co-defendant Jose Susumo Azano Matsura and a congressman in September 2012, after which Azano contributed $30,000 to the Democratic Congressional Campaign Committee on behalf of Rep. Juan Vargas, D-San Diego. At the time, Azano was a foreign national who could not lawfully make contributions or expenditures, either directly or indirectly, in connection with any election at the federal, state or local levels. Azano did so nonetheless, using a straw donor to create the appearance of legality, according to prosecutors. 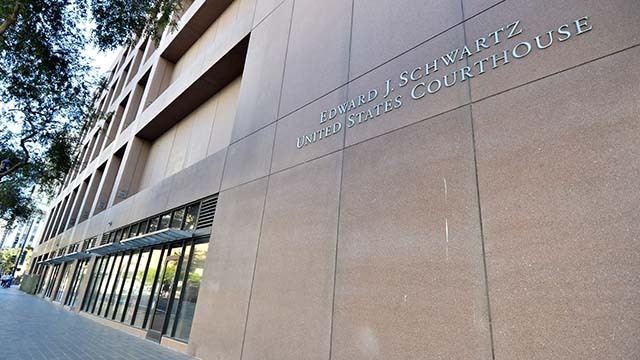 As detailed in a jury trial last year, former La Jolla car dealer Marc Chase used funds provided by Azano to draft three checks, including the one to the committee. The conspirators also funneled an additional $150,000 of Azano’s funds to other recipients, court documents state. Cortes conceded in his plea agreement that he had known that the DCCC contribution was illicitly provided by Azano. In addition to conspiracy and making an improper campaign contribution in another person’s name, Cortes admitted to improperly obstructing the FBI’s efforts to serve him with a valid arrest warrant, actions that prompted the federal agency to sent a SWAT team and negotiators to his apartment. During the incident, neighboring residents were evacuated for safety reasons and the street in front of the defendant’s apartment building was shut down. The trial concluded in September 2016 with the convictions of co- defendants Azano, Edward Hester and Ravneet Singh. However, jurors were unable to reach a verdict on the counts against Cortes. Azano was sentenced to 36 months’ custody and ordered to pay a $560,955 fine after his conviction on all 37 counts he faced. Singh was sentenced to 15 months in prison, and Hester — Azano’s son — was sentenced to a 12-month probation term. Cortes entered his guilty plea rather than face retrial. He will be in line for a maximum penalty of three years in prison and $300,000 in fines at his sentencing, set for March 5. Vargas told The San Diego Union-Tribune that he did not solicit or encourage the $30,000 donation.